“Spotlight” on Naperville Community TV 17 on Feb. 10, 2016. Interviewed by Jane Wernette of NCTV 17. Amici Club offers a scholarship of $1,000 to one student of Italian descent who wishes to continue his/her education in an accredited higher learning institution or qualified vocational school. It is open to high school seniors in the Class of 2019 who live in the greater Naperville area in the city and surrounding communities or seniors related to Amici Club members outside the area who will be entering college for the 2019 academic year. This merit-based award will be judged based on personal initiative, demonstrated character, and academic and extra-curricular achievement. An essay is required to show how these qualities are complemented by the applicant’s Italian heritage. The decision to award a scholarship will be made by the Scholarship Committee. All decisions are final. The application, essay and supporting materials must be hand delivered or postmarked by April 15, 2019. The designated recipient with his/her immediate family will be awarded the scholarship at the club’s general meeting in May 2019. Benvenuti Amici! ~ Welcome Friends!! In recognition of outstanding achievements by young persons of Italian descent seeking to make a positive impact in our world, this scholarship is being offered to students who wish to continue their education in any accredited higher learning institution or qualified vocational school. It is open to high school seniors in the Class of 2019 with some Italian ethnicity who attend an accredited high school in the greater Naperville area including the city and surrounding communities or who are related to an Amici Club member living outside of greater Naperville. The student must have a 3.25 grade point average on a 4.0 scale, have applied for admission to an accredited two or four-year degree granting academic or vocational school, and have completed all scholarship application requirements. An award in the amount of $1,000 will be granted to a single student and can be used toward education costs (books, tuition, study abroad, etc.). SCHOLARSHIP CRITERIA: This merit-based award will be judged based on personal initiative, demonstrated character, and academic and extra-curricular achievement. An essay is required to show how these qualities are complemented by the applicant’s Italian heritage. 1. Completed application and accompanying materials (original 600-800 word personal essay plus 2 letters of recommendation and official high school transcript in sealed envelopes) must be postmarked or delivered no later than April 15, 2019. Please note that applications after April 15 will not be considered. Essay will be judged on the basis of creativity, uniqueness, originality and sincerity. 3. Other criteria considered by the scholarship committee will include completeness and accuracy of application. Payment of the scholarship will go directly to the award recipient and is dependent upon acceptance by and proof of enrollment in the winner’s chosen institution. 4. Original essay written by the applicant. Only applications that fully comply with stated criteria will be considered. 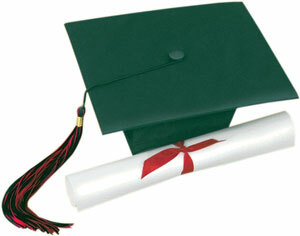 Decision to award a scholarship will be made by the Scholarship Committee. There are no appeals. Committee decision will be made by May 2nd and winner will be notified immediately. Designated recipient for the 2019 Amici Club Scholarship and his/her immediate family will be invited to attend the club’s general meeting for presentation of the award in May 2019. Disclaimer: The application and all materials provided by applicants will be used only for the purpose of awarding the 2019 scholarship. They will not be used for any commercial purpose nor provided to any outside firm for any reason.